Oncometrix » Gail Bentley, M.D. Dr. Gail Bentley received her residency training in Pathology and Hematopathology fellowship training at Wayne State University/Detroit Medical Center in Detroit, Michigan. Dr. Bentley joined the staff of the Detroit Medical Center as a staff Hematopathologist and was there for 11 years attaining the status of Associate Professor of Pathology. As a staff pathologist Dr. Bentley was a member of several committees and an active participant of several tumor boards. 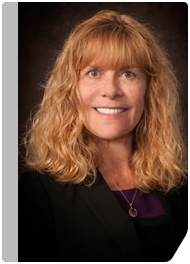 Dr. Bentley has been very active in education as she was the course director of Hematology at Wayne State University School of Medicine, as well as the Medical Director for the Anatomic Pathologist Assistance program at Wayne State University. She served as a delegate for the Wayne Country Medical Society for numerous years. She is currently a member of several professional organizations including the United States and Canadian Academy of Pathology and the American Society of Hematology. Dr. Bentley joined OncoMetrix in 2013.